Cuban art continues to rise and gain importance in the international market. Last week, during the New York Latin American Art sales, on November 17 and 18, two major Cuban masters from the vanguardia period reached new world auction records. My friends from Cernuda Arte in Miami tell me that a work titled Guajiro con Gallo (Cuban Peasant with Rooster), a signature oil on canvas, 24 ¼ x 20 inches, by Mariano Rodríguez, was offered at Sotheby’s November 18 sale. It reached a final hammer price of $482,500, exceeding the artist’s previous record of $354,500 attained eleven years ago. Another success was, Carnaval (Carnival), an oil on canvas work, 20 x 16 inches by the revered Father of Cuban Modernism, Víctor Manuel García, offered at Christie’s November 17 sale. The painting logged enthusiastic bids before setting a new auction record of $182,500. The former record for a Víctor Manuel painting was $141,900 six years ago. 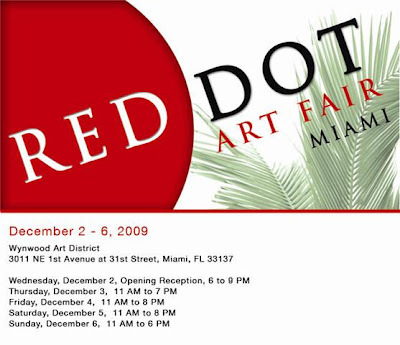 On Friday I'm driving down to Miami for the Art Basel frenzy of art fairs with a van load full of artwork. I will be at Red Dot Art Fair in the Wynwood Arts District and the location of the fair is 3011 NE First Avenue at NW 31st Street, Miami, FL 33137, really close to the massive Art Miami and the elusive Scope. If you'd like some free passes to Red Dot, drop me an email to lenny @ lennycampello.com and I'll leave them at "will call" at the fair. I'll be in booth B105, so if you are in Miami, please drop by. I'll be writing from the fairs as much as I can and as time allows. I have free passes to all the art fairs, so I hope to do some writing about some of them.